The Cardinals began a three game series in Milwaukee with another one run loss. Starting pitcher Carlos Martinez has been sluggish in the first inning since the All Star break, and this outing was no exception, as the Brewers plated all the runs in the opening frame. In five innings, Martinez gave up the three runs on four hits. The right hander struck out seven, but walked five. John Brebbia pitched a scoreless inning of relief, followed by 1 1/3 run-free innings by Tyler Lyons, and 2/3 more from Matt Bowman. The Redbirds scored once in the fourth and again in the fifth, on RBI singles by Yadier Molina and Tommy Pham. Pham an Kolten Wong went 2-for-4. Molina had a passed ball, his sixth of the season. The second game of the series was another one run game, but this one was a victory for the Cardinals. Yadier Molina led the way, going 3-for-4 with two solo home runs, in the fourth inning and the sixth. Kolten Wong also drove in two runs, on a double in the sixth. Luke Voit was 2-for-4, and he plated a run on a ground out in the second. Luke Weaver made his second start in place of injured Adam Wainwright and performed well. Weaver pitched 6 1/3 innings, giving up two runs on five hits. The young right hander fanned eight and walked two. Zach Duke relieved in the seventh and got the final two outs. John Brebbia surrendered two runs in 2/3 of an inning, and was replaced by Trevor Rosenthal, who got the last out of the eighth, and pitched a scoreless ninth. Weaver earned his first win of the season, Rosenthal his seventh save. On the base paths, Tommy Pham was caught stealing for the fifth time in 20 attempts. Randal Grichuk was picked off first base. In the field, Paul DeJong committed his fifth error, a throwing miscue. In their second one run loss of the series, the Cardinals offense made little headway against Brewers starter Matt Garza, who was fresh off the disabled list. It wasn’t until the fifth inning that the offense finally broke through. Yadier Molina and Jose Martinez drew walks. After Stephen Piscotty struck out, Greg Garcia’s ground ball single to center scored Molina. Only Kolten Wong had multiple hits, as he was 2-for-4 with a double, the only extra-base knock among the team’s six hits. Starter Michael Wacha pitched four innings, giving up one run on five hits. The right hander struck out five and walked three. Brett Cecil gave up a run in two innings, and was the losing pitcher. Kevin Siegrist pitched a scoreless seventh, and Seung-Hwan Oh tossed a quiet eighth. This was the fourth consecutive one run game in the week and the third one run loss for the Cardinals. Mike Leake absorbed his 10th loss of the season after going six innings, giving up three runs on eight hits. The right hander fanned three and walked none. Zach Duke and Sam Tuivailala combined for the final two scoreless innings. The Redbirds offense scored two runs on nine hits. The first run scored in the third inning on an RBI single by Leake. Carson Kelly drove in the second Cardinal run in the eighth with a single. Tommy Pham was 2-for-4 and Paul DeJong was 2-for-5. The only extra base hit was a triple by Greg Garcia. Pham stole his 15th base of the season in 20 tries. Stephen Piscotty had an outfield assist, throwing out a runner at home. Game 2 of the series was not a one-run game. The Cardinals scored more runs (four) on fewer hits (four) than the opener thanks to a two run home run by Paul DeJong in the third inning. No Redbirds had multiple hits and there were no other extra base hits. Starter Lance Lynn pitched six innings, giving up one run on three hits. The right hander struck out four and walked three. Seung-Hwan Oh, Tyler Lyons, and Trevor Rosenthal each tossed a scoreless inning of relief. Lynn earned his 10th win of the season and Rosenthal his eighth save. The Cardinal bats finally broke through with the same total of runs on Sunday as they scored in the four prior games in total. It was the first time the team plated more than five runs in any of the last 10 games. Cleanup hitter Jose Martinez drove in four on his first career grand slam in the fourth inning. Martinez was 2-for-4 with two runs scored. Kolten Wong, Randal Grichuk, and Greg Garcia each hit an RBI double in the second inning. Grichuk plated two with his double. The fourth inning was the fun inning as the Redbirds scored nine times. Four runs were from the grand slam, and the other five came home on a Tommy Pham single, a Luke Voit two run ground rule double, and a two run triple by Matt Carpenter. Paul DeJong and Wong were each 3-for-5. Yadier Molina was 2-for-4. Starter Adam Wainwright lasted only three innings. He gave up three runs in the first inning, and allowed four hits in his three innings. The right hander walked five and struck out one. Brett Cecil followed with three scoreless innings and picked up the win. John Brebbia gave up one run in his two innings, and Matt Bowman finished with a scoreless ninth. Pham was picked off first base. The Cardinals ended the week 3-3 in two road series with the Brewers and the Reds. The three losses were all by one run. Offense has been the main issue. Starting pitching has held its own and the bullpen has been good. Defense and baserunning have been better for the most part. The Cardinals have continued to be unable to get to or exceed the .500 mark. Since neither the Cubs nor the Brewers have gone on extended win streaks, the top four spots in the NL Central remain clustered. The Cardinals are in third place in the NL Central, are 3.5 games back of the Cubs, and three games back of the second place Brewers. 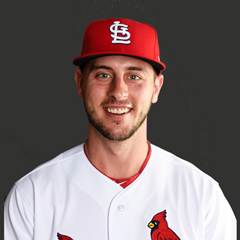 Shortstop Paul DeJong was named National League Rookie of the Month for July. The 24-year old slashed .298/.347/.638/.985 during the month, while smacking eight home runs and driving in 16. DeJong is the first Cardinals player to win the award in over three years – since Kolten Wong in May 2014. 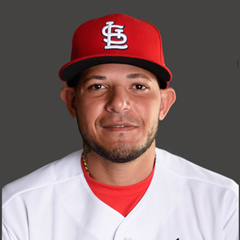 Yadier Molina is batting .389 with an OPS of 1.254. He has 2 HRs, 1 double, and 3 RBI. Jose Martinez is batting .273 with an OPS of 1.016. He has 1 HR and 3 RBI. Luke Voit is batting .500 with an OPS of 1.000 in 6 plate appearances. He has 1 RBI. Tommy Pham is batting .350 with an OPS of .808. He has 2 RBIs. Kolten Wong is batting .318 with an OPS of .809. 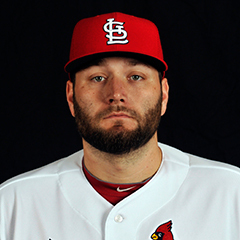 Lance Lynn has an ERA of 2.25 and a WHIP of 1.25. Luke Weaver has an ERA of 2.84 and a WHIP of 1.11. Michael Wacha has an ERA of 3.75 and a WHIP of 0.80. 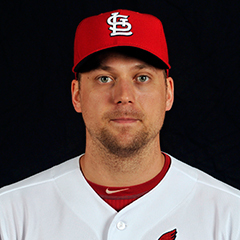 Trevor Rosenthal has an ERA of 0.00 and a WHIP of 0.90. Zach Duke has an ERA of 0.00 and a WHIP of 0.43. Stephen Piscotty is batting .125 with an OPS of .301. Randal Grichuk is batting .071 with an OPS of .330. John Brebbia has an ERA of 10.80 with a WHIP of 1.20. The leadoff hitter has been Matt Carpenter for four games, and Kolten Wong for two games. The number 3 hitter has been Paul DeJong for five games and Carpenter for one game. The number 4 hitter has been Jedd Gyorko for five games and Stephen Piscotty for one game. The number 5 hitter has been Yadier Molina for five games and Carson Kelly for one game. The number 6 hitter has been Jose Martinez for four games, Piscotty for one game, and Wong for one game. The number 7 hitter has Wong for two games, Piscotty for two games, Randal Grichuk for one game, and Luke Voit for one game. The number 8 hitter has been Grichuk for three games, Greg Garcia for two games, and Wong for one game. For the first time in a number of years, the Cardinals made no acquisitions to try to improve the roster at the July 31 non-waiver trade deadline. Nor did the club trade away several players eligible to become free agents this fall, including Lance Lynn and Seung-hwan Oh. 7/31 The Cardinals optioned OF Harrison Bader to the Memphis Redbirds. 8/1 The Cardinals activated OF Stephen Piscotty from the 10 day disabled list. 8/4 The Cardinals optioned RHP Luke Weaver to the Memphis Redbirds. 8/4 The Cardinals recalled RHP Sam Tuivailala from the Memphis Redbirds. 8/6 The Cardinals placed LHP Kevin Siegrist on the 10 day disabled list. 8/6 The Cardinals activated RHP Adam Wainwright from the 10 day disabled list. 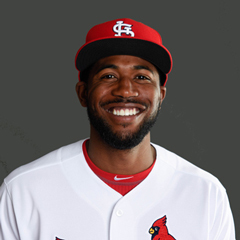 OF Dexter Fowler, out since July 25 with a left forearm strain, has resumed baseball activities, including taking batting practice as of August 5. It is expected Fowler will return to the roster for the series with the Royals. RHP Adam Wainwright was activated from the 10 day DL and made a start against the Reds on Sunday, August 6. LHP Kevin Siegrist was placed on the 10 day DL on Sunday due to left forearm tendinitis. Following the Reds series in Cincinnati, the Cardinals travel to Kansas City for a home and home series. The Cardinals will play the Royals for two games in Kansas City on Monday and Tuesday, then return home to face the Royals on Wednesday and Thursday. Carlos Martinez will get the start in Kansas City on Monday. Michael Wacha will start on Tuesday, followed by Mike Leake on Wednesday and Lance Lynn to close the set. On Friday, the Cardinals begin a weekend series at home against the Braves. The Cardinals have a travel day the following Monday and travel to Boston to play the Red Sox in the second half of a home and home series. The Cardinals played the Red Sox at Busch on May 16-17. The Cardinals travel from Boston to Pittsburgh on Thursday, August 17 for a four game weekend series against the Pirates. After a travel day on Monday, August 21, the Cardinals return home to play a three game series against the San Diego Padres. The home stand continues with a weekend series against the Tampa Bay Rays. This week’s blast from the past centers on a significant occurrence during the first week in August across franchise history. Two things stood out on perusal of Cardinals history during this week. 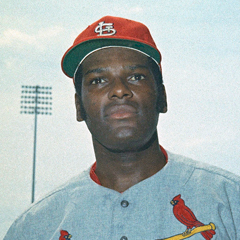 The first was the election of Bob Gibson into the National Baseball Hall of Fame on August 2, 1981. Gibson is the greatest Cardinals starting pitcher of the modern era and arguably of all time. Gibson was inducted into the Hall during his first year of eligibility, which is something that should have come to no surprise to anyone. Gibson is often credited for being responsible for Major League Baseball lowering the pitching mound by five inches in 1969, the year after he set the MLB record for lowest ERA in a single season, 1.12. That record has not been broken to this day. The other first-week August occurrence of note was the hiring of Joe Torre as the manager of the Cardinals on August 1, 1990. Torre replaced Whitey Herzog, and managed until his firing in June 1995. The Cardinals never reached the playoffs during Torre’s tenure, but the team had winning records in all three of Torre’s complete seasons with the team, despite not having the best talent. Torre’s best record was 87-75 in 1993. Torre went on to manage the New York Yankees from 1996-2007, and then the Los Angeles Dodgers from 2008-2010. Torre was hired in 2011 by the Commissioner’s office, and remains employed there to the present day. 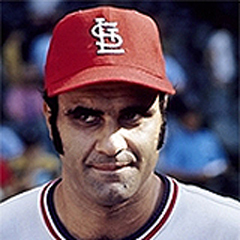 Long before he managed the Cardinals, Torre played for them, from 1969-1974. He began as a first baseman, but after the trade of Tim McCarver to the Phillies in 1970, Torre played third base and shared catching duties with Ted Simmons for that season. Torre became the full time third baseman in 1971. The Cardinals traded Torre to the New York Mets in 1974 for Ray Sadecki and Tommy Moore. Torre was elected to the Cardinals Hall of Fame in 2016.